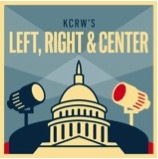 Los Angeles, CA, June 21, 2017 — KCRW’s Left, Right‎ & Center, a nationally syndicated radio show and popular podcast known for its civilized versus divisive approach to differing opinions about the issues facing America, will expand ‎from 30 minutes to one hour beginning Friday, July 7, it was announced today by Gary Scott, Program Director, KCRW. Praised by both sides of the aisle for its provocative and compelling exchange about politics, policy and popular culture, KCRW’s weekly program, airing Fridays at 2:30 and 7:00 pm PT, (and available for download from iTunes, kcrw.com and more) is moderated by Business Insider senior editor and MSNBC contributor Josh Barro, and features The Nation’s Katrina vanden Heuvel on behalf of the left, and National Review editor in chief Rich Lowry commenting on behalf of the right. Since its launch in 1996, party pundits and all-star journalists from every angle of the political spectrum have participated in what has been touted as an honest and thoughtful antidote to the self-contained opinion bubbles that dominate the political debate. Most recently, the podcast was acknowledged for its revelations without the rhetoric during Samantha Bee’s memorable Not The White House Correspondents’ Dinner monologue. Airing on over 30 public radio stations across the country (check local listings) and available for download at iTunes, KCRW.com and more, Left, Right & Center, has been a touchstone for listeners seeking a robust conversation about topics ranging from the Russia investigation, immigration and the secrecy of the healthcare bill to James Comey’s testimony and more recently the shooting at the Congressional baseball practice in DC. A rotating list of luminaries and special guests featured in recent weeks includes Keli Goff, Gene Sperling, Christopher Ingraham, Molly Ball, Mickey Kaus, Juliette Kayyem, and more. This month, the program added a new segment, It’s Been Busy, exploring topics that often get lost in the world of Trump headlines. Whether it’s delving into issues like opioids that kill more Americans each year than the HIV epidemic at its height or an update of the aggressive backroom effort to repeal Obamacare, the program dissects and analyzes possible solutions that prove elusive to policy makers and seeks substantive answers versus the scandal and sensationalism that pervades our cultural landscape. Left, Right & Center’s popular Rants segment will continue to provide a political soapbox for the hosts and weekly guests giving them 30 seconds to share their very personal issue-specific points of view without interruption or condescension from the opposition. KCRW creates and curates a unique mix of content centered around music discovery, NPR news, cultural exploration and informed public affairs. KCRW is driven by the spirit of Los Angeles and delivers in innovative ways – on the radio, digitally and in person – to diverse, curious communities around the corner and around the world. A community service of Santa Monica College, KCRW can be found on the air in Los Angeles, Santa Barbara, Ventura, Mojave, Palm Springs, San Luis Obispo and via KCRW-developed smartphone apps and online at KCRW.com. Santa Monica, CA (June 12, 2017) – KCRW is pleased to announce the successful completion of its $48 million Capital Campaign, launched in 2013 to build brand new, state-of-the-art broadcast studios and invest in programming and technology. KCRW is a non-profit, multi-platform public media organization which features an eclectic mix of music, NPR news, and cultural programming in Southern California and around the world. Thanks to the generosity of over 5,800 individual donors and institutional supporters, KCRW marks the end of its largest-ever Capital Campaign by exceeding the $48 million goal and raising $50.4 million. The Campaign includes a $28 million contribution from Santa Monica College, licensee of KCRW, with funding from Bond Measure AA, approved by Santa Monica and Malibu voters in 2008. Construction of the new 35,000-square-foot KCRW Media Center, located on Santa Monica College’s Center for Media and Design, will be completed in the coming months. More than 5,800 donors joined Santa Monica College and KCRW’s Board of Directors in contributing to the Capital Campaign through a variety of fundraising initiatives, including two “Above and Beyond” Pledge Drives in 2015 and 2016. Supporters were invited to place their names on microphones in KCRW’s studios and on bricks lining the courtyard of the new campus. “This support marks our transformation from a radio station housed in a basement into a true community institution. It means so much to have the investment of Santa Monica College, the many foundations, thousands of individuals, the generosity of KCRW Foundation Board Members and public and private entities that supported this campaign,” KCRW President Jennifer Ferro said. The Campaign, co-chaired by KCRW Board Chair Michael Fleming and KCRW Board Member Deborah Ramo, provided the funds to purchase broadcast and digital equipment for the KCRW Media Center, and to acquire new stations in Santa Barbara (88.7 FM) and San Luis Obispo (101.3 FM). Donated support also includes more than $11 million to invest in new programming and technology to distribute KCRW’s content throughout Los Angeles and around the world. Major private sector gifts received for the Capital Campaign included $5 million from the Annenberg Foundation and $1 million from both the David Bohnett Foundation and the Conrad N. Hilton Foundation. Major donors to the Capital Campaign include The Ahmanson Foundation, the Annenberg Foundation, Borzi Family Foundation, Norris and Debra Bishton Foundation, David Bohnett Foundation, The Rosalinde and Arthur Gilbert Foundation, Conrad N. Hilton Foundation, Chris A. Hollinger and Elizabeth MacDonald, W.M. Keck Foundation, Kayne Foundation, Ric & Suzanne Kayne and Jenni, Maggie & Saree, The Ralph M. Parsons Foundation, Rosemary Kraemer Raitt Foundation, Roth Family Foundation, Santa Barbara Foundation, Monica J. Shilling, Ellie and Tom Wertheimer, Lucy Wild and Jason Wolff, and Kristin and Jeff Worthe. To raise support for the Capital Campaign, KCRW also published “From The Basement,” a limited edition book of photography that memorializes the many artists featured on the station’s flagship music show “Morning Becomes Eclectic,” which celebrates its 40th anniversary this year. Over the past 35 years, KCRW’s staff has grown from 14 to 125 people working in five locations, including extremely cramped offices and studios in the Santa Monica College cafeteria basement. The new KCRW Media Center is designed to preserve the station’s collaborative culture, while creating community gathering spaces, integrating state-of-the-art production facilities, and allowing for future growth. Designed by Clive Wilkinson Architects, a global leader in workplace innovation, the new building will also meet LEED Silver Certification standards, maximizing energy and water efficiency, and indoor environmental quality. With a history of bringing unique live experiences to Southern California and around the country, KCRW will, for the first time in its history, be able to host the community at its own 1,400 square-foot Annenberg Performance Studio. KCRW will also have the opportunity to program events for up to 1,500 people in the 18,000-square-foot courtyard and outdoor stage and a 180-seat auditorium. SMC’s Center for Media and Design is located in the middle of Santa Monica’s creative business district, and two-blocks from the Expo Line. The campus will include a newly-remodeled 50,000 square-foot teaching facility, a new 30,000 square-foot addition with TV and production studios, a cafe, and a new 430-space parking garage. Construction is projected for completion by end of 2017, with both the KCRW Media Center and SMC Center for Media and Design operating from the new buildings by late 2017. To learn more about KCRW’s Capital Campaign, visit KCRW.com/Campaign. KCRW creates and curates a unique mix of content centered around music discovery, NPR news, cultural exploration and informed public affairs. KCRW is driven by the spirit of Los Angeles and delivers in innovative ways – on the radio, digitally and in person – to diverse, curious communities around the corner and around the world. A community service of Santa Monica College, KCRW can be found on the air in Los Angeles, Santa Barbara, Ventura, Mojave, Palm Springs, and via KCRW-developed smartphone apps and online at KCRW.com. Santa Monica, CA (June 13, 2017) — KCRW and the Annenberg Foundation are pleased to announce the lineup for the 2017 SOUND IN FOCUS series — three, free, all-ages concerts held at the Annenberg Space for Photography in Century City. The series kicks-off on Saturday, July 15 with a headlining performance from Grammy-winning R&B artist Miguel, an opening set by Brooklyn-based multi-instrumentalist Gabriel Garzón-Montano, and DJ sets by Stretch Armstrong. The evening will be hosted by KCRW’s Anthony Valadez. The series continues on Saturday, July 22 with a headlining performance from the legendary Paul Oakenfold, opening sets by East L.A.-based troubadour Mondo Cozmo and L.A.’s Lo Moon, and DJ sets by KCRW’s Jason Bentley. The series concludes on Saturday, July 29 with the guitar-slinging duo Rodrigo y Gabriela, celebrating the 10th anniversary of their debut album, seven-time Latin Grammy winner Natalia Lafourcade, and DJ sets by KCRW’s José Galván. Admission to the SOUND IN FOCUS series is free; however, RSVP is required for entry but does not guarantee admission which will be granted on a first-come, first-served basis. Registered guests must collect wristbands upon arrival at check-in to gain access to the concerts. Advance registration is available at KCRW.com/soundinfocus and is required for every show. There will also be refreshments available for purchase from a wide variety of cafés and food trucks, and beer gardens for those 21 and over. The 2017 SOUND IN FOCUS series launches on Saturday, July 15 with Miguel who first hit the mainstream in 2010 with the infectious single “All I Want Is You,” from the debut album of the same name. The song, which blended a stark hip-hop beat with Miguel’s creamy vocals to form a sound that was absent from the radio, established Miguel as one of the most unique and soulful voices in modern R&B. The album also featured “‘Sure Thing,” which hit #1 on Billboard’s R&B/Hip-Hop chart. Miguel then released the critically-acclaimed, four-time Grammy-nominated, sophomore album Kaleidoscope Dream. The album featured his third US #1 hit single “Adorn,” and garnered him his first Grammy win for “Best R&B Song.” “Adorn” resided at #1 on Billboard’s R&B/Hip-Hop Airplay chart for more than 23 weeks, becoming the longest running #1 single in the history of the Billboard R&B/Hip-Hop Airplay chart. Miguel’s critically acclaimed third studio album Wildheart claimed the #1 spot on Billboard’s R&B Albums chart, and debuted at #2 on the Billboard 200 album chart. Wildheart garnered Miguel two more Grammy nominations and topped a number of 2015 year-end lists including the #1 spot on Time’s Top 10 Best Albums, The New York Times’ Best Albums of 2015, Entertainment Weekly’s 40 Best Albums of 2015, and SPIN Magazine’s Top 50 Best Albums of 2015. New music from Miguel’s highly anticipated fourth studio album is coming soon. Gabriel Garzón-Montano, dubbed “one of the most promising artists of 2017” by NPR delivers the evening’s opening live set. The Brooklyn-born singer-songwriter and multi-instrumentalist released his critically lauded debut album Jardín via Stones Throw Records. His track “6 8” was sampled by Drake on “Jungle” from If You’re Reading This, It’s Too Late. Garzón-Montano has toured throughout the US, Europe, and Japan – including supporting Lenny Kravitz on his 2014 European tour. NYC native Adrian Bartos p/k/a Stretch Armstrong is an internationally recognized DJ and cultural pioneer with an incomparable career. The 1990s hip-hop legend created and programmed the “Stretch Armstrong & Bobbito Show” on WKCR 89.9, which The Source magazine later named “The Greatest Hip-Hop Radio Show of All Time.” Stretch and Bobbito introduced the world to Jay Z, Biggie, Wu-Tang Clan, Nas, and Eminem, and dozens of other seminal figures in hip-hop. Starting in the Summer of 2017 Stretch and Bobbito will bring their decades of experience as cultural influencers and tastemakers to the “Stretch & Bob” NPR podcast series, shifting gears from their hip-hop radio format to instead engage cultural movers and shakers in art, music, politics, comedy, and sports. KCRW DJ Anthony Valadez hosts the evening. The SOUND IN FOCUS series continues on Saturday, July 22 with one of the true legends of electronic music Paul Oakenfold. 2017 marks the 30-year anniversary of Oakenfold’s famed trip to the white island of Ibiza. What followed that storied week was the birth of the dance and festival culture we know today and the emergence of one of the greatest DJs of our time. Join Paul Oakenfold in his truest form, on two turntables and two CDJs, taking you on an extended journey through three GENERATIONS of dance music with an all new visual experience. Drawing on influences ranging from The Verve, Primal Scream, Beck, Beastie Boys and Bob Dylan in a contemporary fusion of beats, guitars and attitude, the Philadelphia-born, Los Angeles-based Mohawk-ed and tattooed troubadour Mondo Cozmo has the attitude of the Manchester bands of the 90s…working class, honest, inspirational, cautiously hopeful, and socially observational. He hasn’t wasted any time positioning himself as one of 2017’s most promising new artists. Recently, he finished a run of sold out shows across the country and is performing at some of the biggest festivals including: Bonnaroo, Governors Ball, Boston Calling, Sasquatch, Firefly, Hangout Festival, and more. called “Loveless,” is fast-becoming a radio favorite. The song has already had over two million streams since it was released. The band is currently putting the finishing touches to their debut album, and will be releasing a music video by Warren Fu (Daft Punk, Strokes, Killers) for “Loveless” shortly. KCRW DJ Jason Bentley hosts the evening and spins sets prior to, and in-between the live performances. The SOUND IN FOCUS series closes on Saturday, July 29 with a headlining set from international guitar virtuosos Rodrigo y Gabriela bringing to the stage their unique instrumental blend of metal, jazz and world music. Rodrigo Sanchez and Gabriela Quintero have been playing together for more than fifteen years. First as young thrash metal fans in their native Mexico City, then as street musicians in Dublin, Ireland at the turn of the millennium, and finally as the globe-straddling, film-scoring, record-breaking artists they are today. Known for exhilarating live shows, Rodrigo y Gabriela have won the hearts of music lovers from the haciendas of Cuba to the Hollywood Bowl and festival fields of Europe, as they continue to weave their unique six-string magic. The extraordinary interplay between Sanchez’s fiery lead lines and Quintero’s phenomenal rhythmic battery is truly universal. Their most recent release 9 Dead Alive (2014), the duo’s first studio album in five years, features intimate songs and intuitive performances with spectacular results, bursting with melodic energy and rhythmic invention. The album captures the warmth and spontaneity of two great musicians riffing and jamming together, perfectly distilled and teeming with desire, elegance and gusto. The duo also recently released a 10-year anniversary deluxe edition of their debut album on ATO Records which features a 2-LP set including both a re-mastered version of the original album, and a 2006 performance, live from Olympia Theatre in Dublin. With career sales in excess of 1.5 million albums, blockbuster movie scores, and sold-out tours worldwide, Rodrigo y Gabriela have certainly made their mark. Their appeal is boundless, their scope limitless, and the music timeless. Grammy-winning singer/songwriter Natalia Lafourcade delivers the evening’s opening live set. Her music weaves sounds from her native Mexico with elements of jazz, rock, bossa nova and folk. At seventeen, she released her first, eponymous album of original songs to critical acclaim. Since then, her 15-year career discography includes the award-winning Casa (2005), Mujer Divina (2012), Homenaje a Agustín Lara (2013), and Hasta la Raíz (2015), which garnered a Grammy for “Best Latin Rock, Urban or Alternative Album” and four Latin Grammys. A charismatic performer, Lafourcade has toured extensively throughout the globe. For her latest project, she pays tribute to Latin American folk music in Musas, un homenaje al folclore latinoamericano en manos de Los Macorinos (2017), through organic recordings and videos that exemplify her mastery and maturity as a collaborative artist. KCRW DJ José Galván hosts and spins sets prior to and in-between the live performances. The 2017 SOUND IN FOCUS concert series takes place at the Annenberg Space for Photography in Century City. The Annenberg Space for Photography will stay open until 11:00 p.m. on these evenings so that the concertgoers may enjoy both the concerts and GENERATION WEALTH by Lauren Greenfield, the current exhibition. The exhibition examines the influence of affluence over the last 25 years, illustrating the globalization of materialism, celebrity culture and social status. This timely, thought-provoking collection explores how “keeping up with the Joneses” has become Keeping Up with the Kardashians, magnifying the aspirational gap between what we want and what we can afford. The exhibit is not about the rich, but the pervasive desire for more. Lauren Greenfield is an internationally acclaimed, Emmy Award®-winning filmmaker and photographer who is considered a preeminent chronicler of consumerism, youth culture and gender identity. Her third collaboration with the Annenberg Space for Photography and first solo show, this exhibit is a revelatory cultural exploration that presents 195 color-saturated prints, 42 riveting first-person interviews and the accompanying multimedia projections and short films. KCRW and the Annenberg Foundation first united in 2012 for a string of hugely successful summer music events to accompany the Who Shot Rock & Roll exhibit. 2014’s Country in the City series not only spotlighted emerging and established artists in the genre, but was part of the Annenberg Foundation’s 25th anniversary festivities. Last year’s series, which highlighted the acclaimed REFUGEE exhibition, saw thousands of concertgoers enjoy headlining performances by Edward Sharpe and the Magnetic Zeros, Baaba Maal, and Nas. KCRW creates and curates a unique mix of content centered around music discovery, NPR news, cultural exploration and informed public affairs. We are driven by the spirit of LA and deliver in innovative ways — on the radio, digitally and in person — to diverse, curious communities around the corner and around the world. A community service of Santa Monica College, KCRW can be found on the air in LA, Santa Barbara, Ventura, Mojave, Palm Springs, San Luis Obispo, via the KCRW-developed smart phone app, and online at kcrw.com. The Annenberg Foundation is a family foundation that provides funding and support to nonprofit organizations in the United States and globally. Since 1989, it has generously funded programs in education and youth development; arts, culture and humanities; civic and community life; health and human services; and animal services and the environment. In addition, the Foundation and its Board of Directors are directly involved in the community with innovative projects that further its mission of advancing a better tomorrow through visionary leadership today. Among them are Annenberg Alchemy, Annenberg Learner, Annenberg Space for Photography, explore, GRoW @ Annenberg and the Metabolic Studio. The Foundation encourages the development of effective ways to communicate by sharing ideas and knowledge. (Santa Monica, CA—June 6, 2017) Attorney, university lecturer, and public servant Matt Kline will take the helm as Chairman of the Board of the KCRW Foundation effective June 5, 2017. The announcement was made following the organization’s Board meeting by current Chairman Michael Fleming, who will remain on the Board for another three-year term. 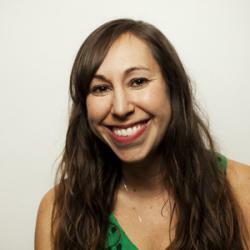 New KCRW Board Officers include Lee Rierson as Vice Chair and Emily Gold Mears as Secretary/Treasurer. Monday’s meeting also marked the election of two new Board members: Cisco Pinedo, founder of Cisco Home, an L.A.-based home furnishings manufacturing company; and Heather Mingst, philanthropist and community volunteer. Thanks to the generosity of more than 5,800 individual donors and institutional supporters, KCRW marked the end of its largest-ever Capital Campaign by exceeding the $48 million goal and raising $50.4 million. The Campaign included a $28 million contribution from Santa Monica College (SMC), licensee of KCRW, with funding from Bond Measure AA, approved by Santa Monica and Malibu voters in 2008. Major private sector gifts received for the Capital Campaign included $5 million from the Annenberg Foundation and $1 million from both the David Bohnett Foundation and the Conrad N. Hilton Foundation. Over the past 35 years, KCRW’s staff has grown from five to 125 people working in five locations, including extremely cramped offices and studios in the Santa Monica College cafeteria basement. Through the success of the Capital Campaign, the station was able to purchase broadcast and digital equipment for the KCRW Media Center, and to acquire new stations in Santa Barbara (88.7 FM) and San Luis Obispo (101.3 FM). Donated support also includes more than $11 million to invest in new programming and technology to distribute KCRW’s content throughout Los Angeles and around the world. The new KCRW Media Center is designed to preserve the station’s collaborative culture, while creating community gathering spaces, integrating state-of-the-art production facilities, and allowing for future growth. Designed by Clive Wilkinson Architects, a global leader in workplace innovation, the new building will also meet LEED Silver Certification standards, maximizing energy and water efficiency, and indoor environmental quality. With a history of bringing unique live experiences to Southern California and around the country, KCRW will, for the first time in its history, be able to host the community at its own 1,400-square-foot Annenberg Performance Studio. KCRW will also have the opportunity to program events for up to 1,500 people in the 18,000-square-foot courtyard and outdoor stage, and a shared 180-seat auditorium. KCRW now produces over 80 live events across southern and central California and has seen a doubling of audience reach with a strong broadcast, digital, and social media audience that numbers in the millions. SMC’s Center for Media and Design is located in the middle of Santa Monica’s creative business district, two blocks from the Expo Line. The campus will include a newly remodeled 50,000-square-foot teaching facility, a new 30,000-square-foot addition with TV and production studios, a cafe, and a new 430-space parking garage. 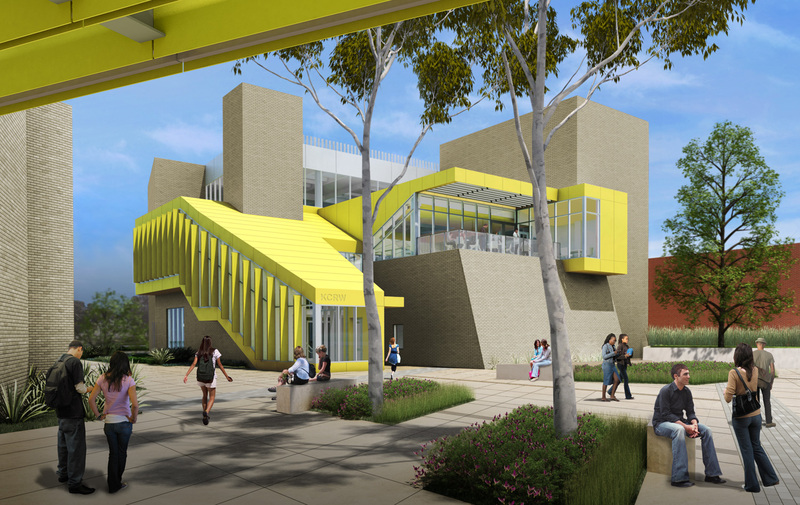 Construction is projected for completion by the end of 2017, with both the KCRW Media Center and SMC Center for Media and Design operating from the new buildings by late 2017. Matt Kline is a partner in the law firm of O’Melveny & Myers LLP. His trial, arbitration, and appellate practice is global in scope – with a focus on intellectual property; contract disputes; international cases; and the water, entertainment, and private-equity industries. Kline attended law school at U.C. Berkeley, where he served as Editor-in-Chief of the California Law Review. Outside the office, Kline regularly lectures at a variety of educational institutions, including Stanford University, where he co-teaches a Business of Water class. He is actively involved in public service, including as counsel on the National War Powers Commission and on the boards of KCRW, the Center for Early Education, and Cancer for College. Kline is Chairman of the Warren Christopher Scholarship program and was an original member of Contemporary Friends at the Los Angeles County Museum of Art. Lee Rierson owns and operates Canyon Media Advisory, providing strategic consulting and business development services for media companies and startups. 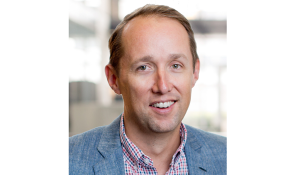 Prior to Canyon Media Advisory, Rierson served as Chief Operating Officer for both FremantleMedia North America and Shine America, both multinational TV and digital production and distribution outfits. Rierson also is an attorney who has practiced in the labor, employment, and entertainment fields, and served for many years earlier in his career as a business affairs negotiator for the ABC Television Network. He is a graduate of UCLA and the UCLA School of Law, a member of Tech Coast Angels’ Los Angeles chapter, and has served on the KCRW Foundation Board for five years, most recently as Secretary/Treasurer and chair of the Finance and Governance committees. Emily Gold Mears currently manages a variety of investments, as well as being committed to philanthropy. Gold Mears was born and raised in Los Angeles and received her B.A. at U.C. Berkeley. She practiced Real Estate Law for a number of years and continues to be active in community organizations. She is a Board member of the UCLA Longevity Center; serves on the Society of Fellows Advisory Committee for the Aspen Institute; is on the policy committee for the Every Child Foundation; is a founding member of the L.A. Women’s Collective; is a member of the Otis College of Art and Design Board of Governors; and is a Board member, governance committee member, and chair of the Development Committee for KCRW. KCRW creates and curates a unique mix of content centered around music discovery, NPR news, cultural exploration, and informed public affairs. KCRW is driven by the spirit of Los Angeles and delivers in innovative ways – on the radio, digitally, and in person – to diverse, curious communities around the corner and around the world. A community service of Santa Monica College, KCRW can be found on the air in Los Angeles, Santa Barbara, Ventura, Mojave, Palm Springs, and via KCRW-developed smartphone apps and online at KCRW.com. KCRW is ranked 27th in L.A. radio, up from 43rd in 2009. Since 2009, KCRW has seen a doubling of its audience. Grammy-winning band Phoenix are set to perform live on KCRW’s flagship music program Morning Becomes Eclectic tomorrow, June 9, the day they release their new album, Ti Amo (Loyaute/Glassnote Records). A longtime KCRW favorite, the band – comprised of Thomas Mars (vocals), Laurent Brancowitz (guitar), Christian Mazzalai (guitar), and Deck D’Arcy (bass) will perform a selection of tracks from Ti Amo as well as a few fan favorites. The session will be streamed via Facebook Live at 11:15 a.m. PDT. Phoenix are currently in the midst of a world tour in support of Ti Amo. The U.S. leg culminates on Thursday, June 15, at the iconic Hollywood Bowl in Los Angeles, CA with support from The Lemon Twigs, and Mac DeMarco. Morning Becomes Eclectic, hosted by KCRW Music Director Jason Bentley, is the station’s signature daily music program (9:00 AM – Noon) featuring new releases from emerging and established artists, underappreciated gems, live performances and interviews. KCRW and the Hammer Museum once again partner to present four free concerts of live bands and DJ sets as part of KCRW’s Summer Nights series, Thursdays, July 6, 13, 20, and 27. This year it’s Rebel Rebel featuring an eclectic line-up of groundbreaking, female-fronted bands and KCRW DJs. All concerts are open to the public, and all-ages, and held outdoor in the Hammer’s lively courtyard. The series kicks off on Thursday, July 6, with a headlining set from the 19-year-old force to be reckoned with Grace Mitchell. The Portland-raised Mitchell whose genre-bending tracks combine R&B, pop, and electronic sensibilities, made her Coachella debut this spring and is set to perform at some of the biggest summer festivals including Outside Lands, Lollapalooza, Hangout Fest, and more. KCRW DJ Valida starts the evening, followed by a set from WARGIRL, a percussion-centric ensemble combining danceable, jammy grooves firmly rooted in Latin music and Afrobeat with nods to later Clash, The Upsetters, and even some Sade. On Thursday, July 13, the series continues with headliner Niia whose slow-burning and intimate debut album tips its hand towards sounds as disparate as the glory days of trip-hop, mid-tempo disco, and misty jazz, while retaining an impressively unified mood evoking modern noir. KCRW DJ Anne Litt opens the evening, followed by a live set from Los Angeles-based singer/songwriter SPELLES aka Kathryn Baar, whose forthcoming second EP titled Skeleton Coast I swings from stomp-y and tribal to delicate and haunting. On Thursday, July 20, the L.A.-based, electronic/alternative one-woman show ELOHIM commands the stage with a headlining performance guaranteed to grab your attention. A Coachella darling, the singer, songwriter, musician, and producer presents a musical vision that is unique and intriguing. KCRW’s Marion Hodges starts things off with a DJ set before Suzi Analogue delights with her live vocal and DJ performance against a backdrop of original visuals created by the Never Normal team. The series closes on Thursday, July 27, with headliner Amber Mark who recently released her self-produced debut EP 3:33 AM, a deeply moving and meditative collection of earthly experimental pop. Within a matter of months, of uploading “Space” to Soundcloud, the song landed on the iTunes homepage and climbed to #35 on Spotify’s Global Viral Chart. KCRW DJ Liza Richardson launches the evening followed by a set from former Los Abandoned lead singer Maria del Pilar performing intimate pop songs that boast bilingual lyrics, odd-meter tempos, infectious hooks, and her beloved ukulele. Happy hour with food and cash bar starts at 6:30 p.m., and music starts at 7:30 p.m. The museum’s gallery hours will be extended to 9:00 p.m. so guests can enjoy the Hammer’s newest exhibitions, including the west coast premiere of Marisa Merz: The Sky Is a Great Space. The exhibition brings together five decades of work by the Italian painter, sculptor, and installation artist. Also on view is Living Apart Together, a collection show featuring John Baldessari, Barbara Kruger, Sharon Lockhart, and Daido Moriyama, among many others. KCRW and the Hammer Museum present Rebel Rebel., four free nights of live concerts featuring an eclectic line-up of groundbreaking, female-fronted bands/artists and DJs. The museum’s gallery hours will be extended to 9:00 p.m. so guests can enjoy the Hammer’s six summer exhibitions. Doors at 6:30 p.m., Music starts at 7:30 p.m. Event parking is available at 11020 Kinross Ave (UCLA Parking Lot 36) with a flat rate of $5 payable by credit card or cell phone through the Park Mobile App. Enter Lot 36 from Kinross Avenue between Gayley and Veteran Avenues. The Hammer Museum is located one block east. It’s also easy to reach the Hammer by public transportation. The 20/720 buses and Santa Monica and Culver City Bus Lines all stop within one block of the museum. You can also take the Metro Expo Line to Westwood/Rancho Park and transfer to the northbound 8 bus, which stops just outside the museum. The Hammer Museum at UCLA offers exhibitions and collections that span classic to contemporary art, as well as programs that spark meaningful encounters with art and ideas. Through a wide-ranging, international exhibition program and the biennial, Made in L.A., the Hammer highlights contemporary art since the 1960s, especially the work of emerging and under recognized artists. The exhibitions, collections, and nearly 300 public programs annually—film screenings, lectures, symposia, readings, music performances, and workshops for families—are all free to the public. Visit hammer.ucla.edu for details and livestreamed and recorded programs.